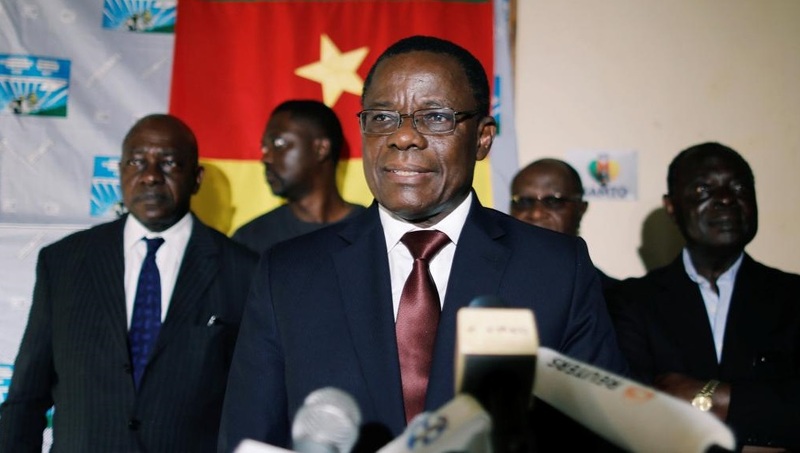 Cameroon opposition leader Maurice Kamto, who claims to have been cheated out of the presidency in elections last year, was arrested in the country’s economic capital Douala on Monday, a senior party member said. The arrest is the latest political turbulence to hit the West African country and comes after several recent eruptions of violence over the October vote, which saw Kamto come second behind Paul Biya, who has ruled for more than three decades. « Mr Kamto was arrested at the home of (supporter) Albert Dzongang, » said Emmanuel Simh, vice-president of the opposition Movement for the Rebirth of Cameroon (MRC), confirming information from a source in Douala. Following Kamto’s arrest, around 300 people gathered outside Dzongang’s house, according to an AFP reporter, flanked by about 50 police officers. Shots were fired into the air to disperse the crowd. The authorities did not respond to an AFP request for information. Veteran leader Biya won a seventh consecutive term in the October election, which was blasted by the MRC as an « electoral hold-up ». Kamto, who has continued to claim he was the rightful winner, won 14.23 percent of the vote to place second, according to the official figures, but his party has held sporadic protests since then to dispute the result. Lire aussi: Le retour en force de la haine des Betis qui sauva le régime en 1992…: Le « génie politique de Paul Biya ». PAUL CHOUTA: COMMENT LE REGIME ANIME EN SOUS MAIN LA DIVISION ET DE LA HAINE TRIBALE AU CAMEROUN? L’intégralité de la lettre du Collectif, qui invite à l’extrême vigilance le président suisse Ueli Maurer. HUMAN RIGHTS WATCH DEMANDE AU REGIME BIYA DE LEVER LES INTERDICTIONS DE MANIFESTER DU MRC. Ensauvagement du Climat Politique: Owona Nguini et Dieudonné Essomba favorables à la dissolution du MRC !